Part of the reason there are so many art fairs happening now is because organizers want to tap into the young Hollywood collecting community that is being cultivated by galleries. Frieze LA specifically is partly owned by Endeavor talent agency, helmed by Ari Emanuel, also a big collector. That’ll be held at the Paramount Pictures lot. And sometimes the two worlds even merge romantically. Jennifer Lawrence has just announced her engagement to a big New York gallerist, Cooke Maroney, director of the Manhattan art gallery Gladstone 64. Aside from the LA Art Show and Photo LA that just passed, there’s a full slate of art on the horizon. Desert X launches this weekend. It’s a kind of art safari. This is its second outing since a successful debut in 2017. Visitors can drive around the Coachella Valley finding artworks that respond to the land while exploring some big themes, like climate change, class divides, and the politics of land ownership. The line-up of artists includes big names like Jenny Holzer and Sterling Ruby and really interesting collectives like PostCommodity and Superflex. Full disclosure, DNA's Frances Anderton will be hosting conversations with artists for a Desert X podcast. Other festivals on the horizon include: Art Los Angeles Contemporary, returning to Barker Hanger in Santa Monica for its 10th year; StARTup LA at The Kinney Venice Beach hotel, featuring up-and-coming artists; Felix LA at the Hollywood Roosevelt Hotel, launched by collector Dean Valentine; and Modernism Week in Palm Springs, the annual lovefest for midcentury Modernism architecture and lifestyle. Frieze LA organizers, from left, Victoria Siddall, Bettina Korek and Ali Subotnick. Photo by Frances Anderton. Frieze is a well-known festival in London and New York. It started as a magazine so the fairs have an educational mission, lots of programming and lectures, not just commercial. It’s picky about which galleries are represented and there’s competition to be there. Victoria Siddall is the head of all the Frieze fairs, including London, New York and Frieze Masters. She says that Frieze is opening in LA now because the art scene in LA has reached a critical mass, and the collector base is growing. There are folks here with money but they spend it in other art capitals like Hong Kong, New York, Miami or Basel. “I think that's one of the things that we hope to change through Frieze L.A. Maybe the buying hasn't happened here because there hasn't been that one moment when, you know, the international galleries come together. Collectors, curators, are all in one place under one roof at the same time. And that's when buying often happens,” Siddall said. Frieze is more exclusive than some of the fairs, with a more expensive ticket price and more playing to VIP collectors. 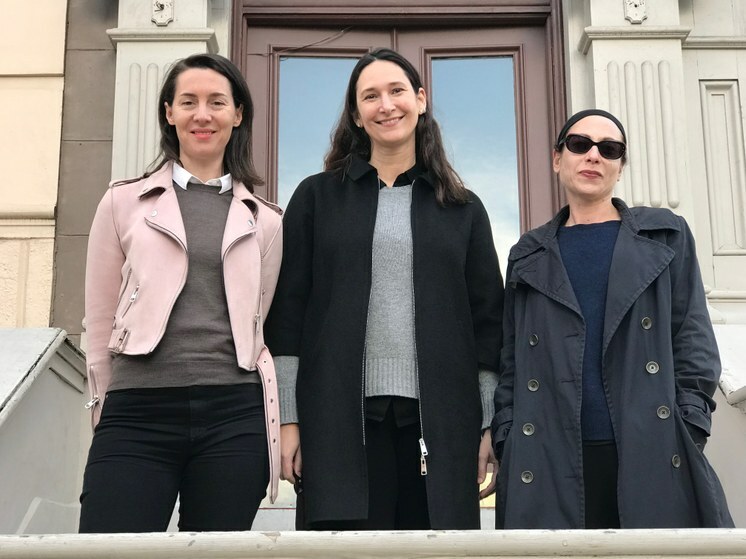 The team includes LA curators Bettina Korek, Ali Subotnick and Hamza Walker, and they want to make clear that there’ll be programming and events around Frieze that are open to all. 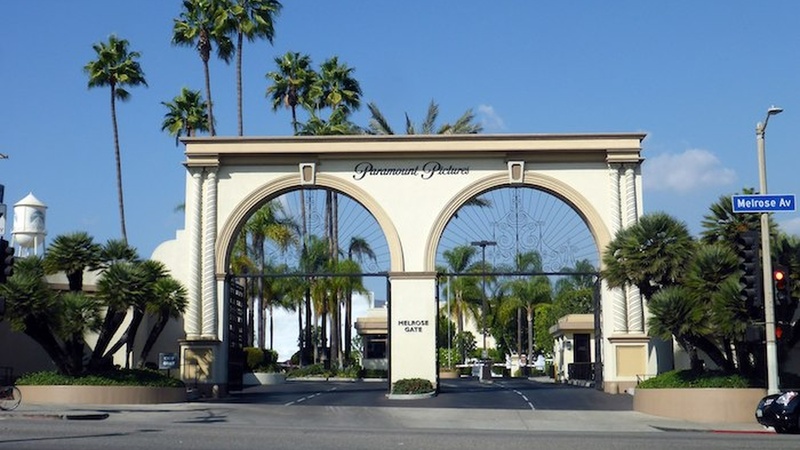 Frieze is being held at Paramount Studios because it’s a big space in a central location. Paris Photo was held there, and visitors will have fun exploring the New York backlot. It represents the convergence between Hollywood and the art world. Also, they wanted to get away from the white box museum experience -- even though the art will be in a big white tent. There will be an LA challenge however: shortage of parking. They’re encouraging ride sharing, walking, buses, bicycles, scooters. But there will be parking for the VIPs. So are all these festivals good for the LA art scene? In many respects, yes. LA is so spread out and the traffic congestion makes it hard to see a lot of the work in galleries, so having much of it under one roof is helpful. Plus, many of them feel more accessible than a gallery that can have that aloof air. A third of the galleries showing at Frieze are local. That said, the critique is that fairs tend to favor older, established galleries and they set aside space for the newcomers. That leaves the missing middle, and those galleries are having a hard time getting attention. And there’s been reports of infighting between galleries and poaching between festivals, especially Frieze and Art Los Angeles Contemporary. Art fairs are also costly for galleries to participate in, not to mention they are sucking customers away from the galleries themselves, along with online business. So some galleries in LA are finding it hard to stay in business. There’s also an ongoing conversation about the commodification of art, and the branding of a few artists that command vast prices while many young artists can barely get a look-in.